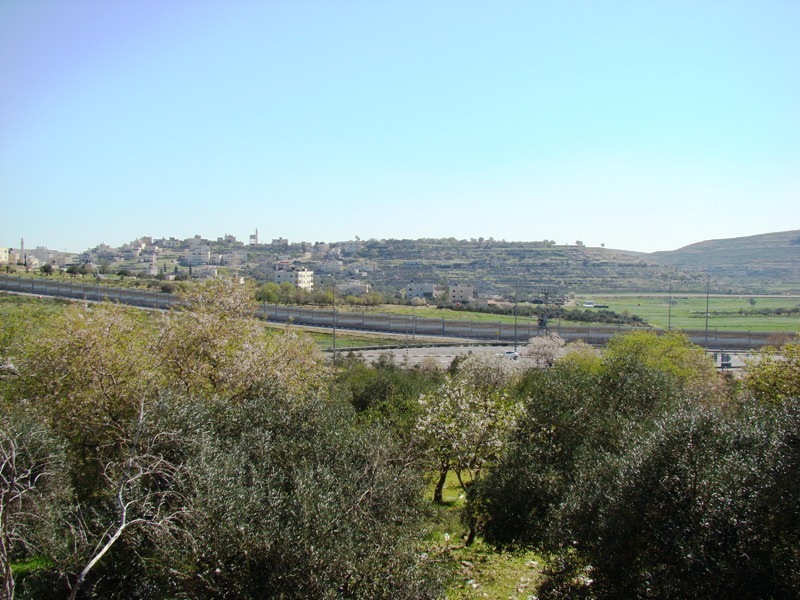 Most scholars today identify Old Testament Bethel as the Arab village of Beitin about 11 mi north of Jerusalem. Edward Robinson was the first to identify it in the 1830’s, equating the modern Arabic name of Beitin with Bethel. This identification was also accepted by W. F. Alblright, who believed that the identification was maintained by the Biblical and patristic (church fathers) evidence. We were fortunate to see Beitin last week during our tour of Israel. 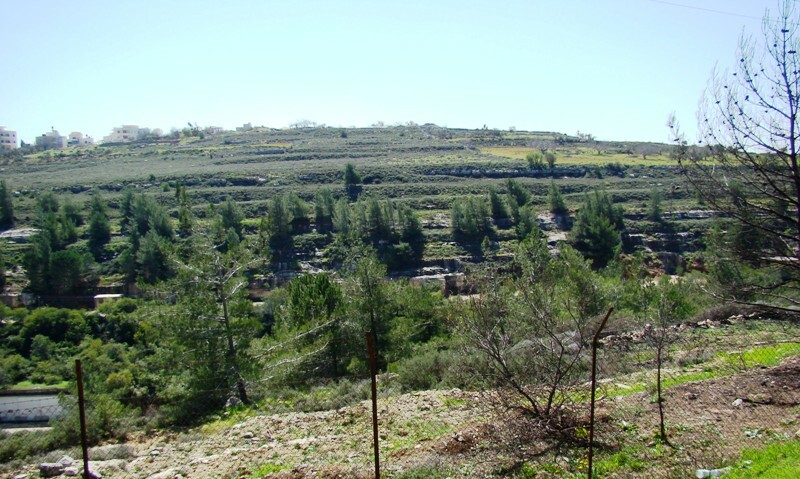 Beitin, proposed site for biblical Bethel. Photo by Leon Mauldin. Beitin is on the hill in the distance. In the Bible, Bethel received its name as a result of God appearing to Jacob there (formerly Luz), and giving him the Abrahamic promises–(1) to make of him a great nation (2) to give his descendants the land of Canaan (3) through his Seed would all families of the earth be blessed. Jacob named the site Bethel, which means “house of God” (Gen. 28:11-19). The identity of this site as Bethel is questioned by others (David Livingston, of ABR, Associates for Biblical Research). One of the exciting things about archaeology is that relevant discoveries continue to be made. Hopefully more info will be forthcoming; perhaps excavations will uncover an inscription, a boundary stone, or some other evidence that will be helpful in making a more certain identification. It the meantime we saw the site that has been identified as biblical Bethel. More excavations are needed! Here is another shot from a different location. Beitin. Possible site for biblical Bethel. Photo by Leon Mauldin. Wild Boars at Bethel. Photo by Keith Welch. Of course swine were listed among unclean animals during the Old Testament period, animals which could not be eaten (Lev. 11:7). 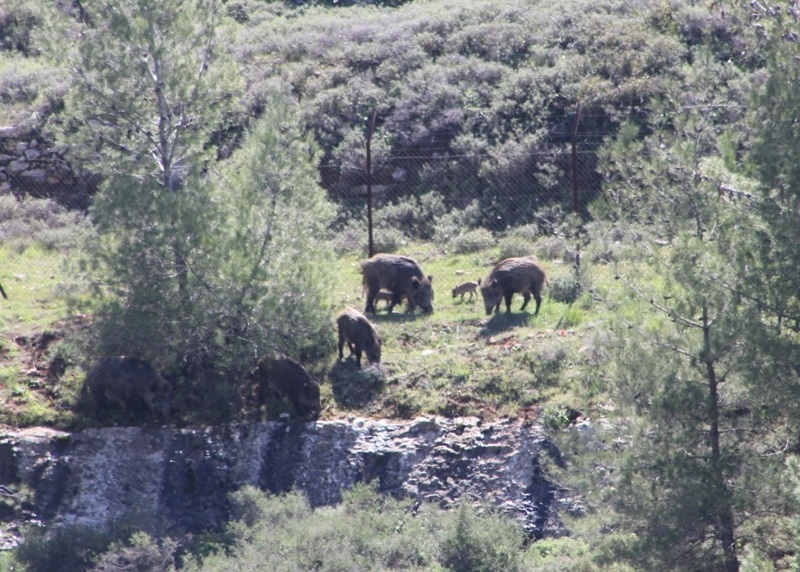 There was an article in the 6/12/09 IsraelNationalNews.com on the problem of wild hogs in Israel. The article, “PA Blames Israel for Wild Boars,” is authored by Maayana Miskin. Palestinian Authority media outlets continue to blame Israel for problems caused by wild boars in Samaria, despite Israeli efforts to cull the animals. On Thursday, PA farmers near Ariel complained that “Israeli settlers” had engineered a wild boar attack that destroyed agricultural produce. The farmers’ claims were repeated by the head of the regional PA farmers’ union, who accused Israelis living in Ariel and nearby towns of planning the attacks. The union head did not explain how Israelis allegedly trained the pigs to destroy only Arab crops. Arab residents of Samaria have made several similar claims over the past three years. The claims have been backed up by PA armed forces, whose officers have been quoted as confirming to PA media that Israel is behind wild boar attacks. The claims of malicious Israeli control of the wild animals have continued this year despite Israel’s efforts to cull the wild boar population in areas under its control. The Nature and Parks Authority has worked to control the boars since May of this year, due to damage caused by boars in the Haifa district. Israel is unable to cull the boar population in Arab villages in Samaria, as those areas are entirely under PA control. More to come. Click on photos for higher resolution. This entry was posted on Tuesday, March 22nd, 2011 at 10:20 PM and is filed under Bible History and Geography, Bible Study, Travel, Uncategorized. You can follow any responses to this entry through the RSS 2.0 feed. You can leave a response, or trackback from your own site.